Real-time monitoring and signal processing according to the mathematical modeling industry, allows the Industry 4.0 applications to make predicting future events, predictive maintenance and accurate control. In this manner, significant savings are achieved by controlling unwanted stops production needs, and making a powerful control of this in real time. We can help with your real time systems needs allowing you to detect, correct and make production optimization decisions and optimizating plants from anywhere in the world. We offer several services such as the installation of OSISoft PI System servers, technical engineering training field, the creation of screens and process-book, programming Excel data-link, but also, the realization of complete applications or complex processed signals on PI ACE which can solve all your information, analysis and process monitoring needs. We have 7+ years of experience in applications development and also, in mathematical modeling for energy companies (combined cycle, nuclear, thermal, cogeneration, photovoltaic, solar thermal, hydro, wind, biogas, biomasa), agriculture, pharmaceutical, cosmetics, food, cement and transport companies. This experience allows us to offer applications that show KPI indicators or complex predictions about future production on demand. 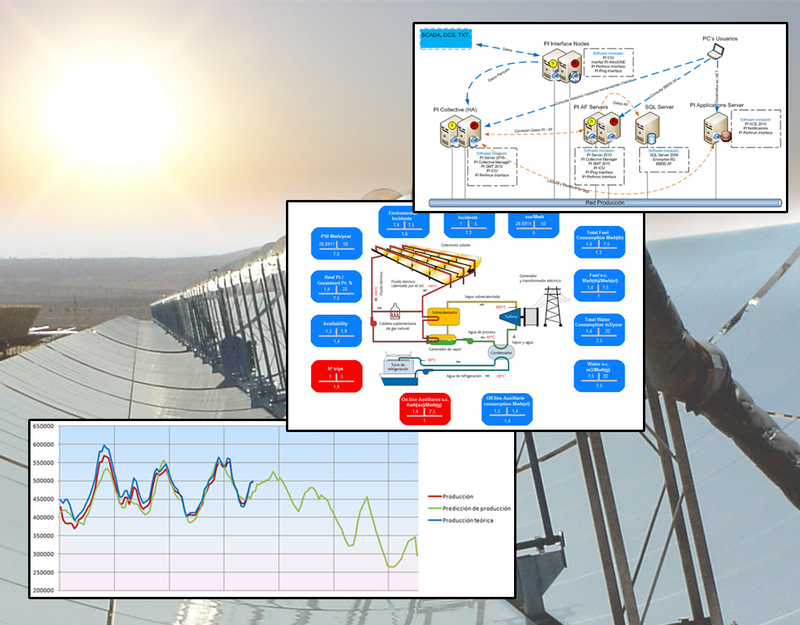 Ceteck has developed a complete intelligence system to detect energy demand and its own generation capacity. This system is been successfully implemented in international energy companies. Also, in the agriculture field, Ceteck has developed a complex system capable of predicting diseases, which means an effective pest control and important cost savings.